Great news for travelers seeking relaxation and romance at Young Island! 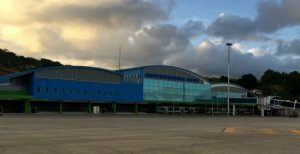 Caribbean Airlines has announced its new non-stop service from New York, offering more options to reach our piece of paradise in St. Vincent and the Grenadines. Great news for Canadian travelers seeking a Caribbean getaway this winter! This is the second year, Air Canada Rogue will be offering direct flights from Toronto to St. Vincent that make it easier to reach Young Island.